If you are a party person then you should have definitely been to or at least heard of Ibiza which can be considered as synonymous to party, bars, nightclubs and a happening nightlife. The moment you step out of the airport in Ibiza, the place welcomes you with bright colored and interesting advertisements about array of clubs holdings events throughout the place. Geographically Ibiza is an island which is situated in the Mediterranean Sea at 79 KMS off the coast in Valencia City in eastern Spain. Large number of tourists visits Ibiza due to its popular summer club activities. Clubbing: Clubbing and partying is what Ibiza is known for and when you are on this island you will be spoilt for choices when it comes to clubs and events. 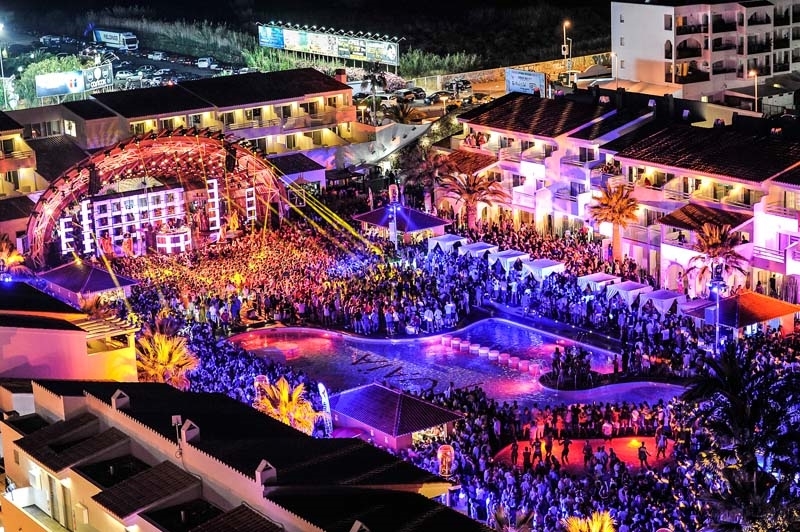 There are many famous clubs on island which have their own specialties like Privilege known for its 10,000 capacity, Space for day clubbing, Pacha for year round activities and many others. Sunset at Café Del Mar: The Café Del Mar is a popular bar in Ibiza that lies in the sunset strip at the far end of the San Antonio Bay and is known for its spectacular sunset view. Hippy Market: The Ibiza Hippy market is organized at Es Cana & San Carlos on Wednesdays and Saturdays respectively where you can enjoy shopping of local crafts as well good music. Midnight walks on the old streets: The cities of Dalt Vila lights up like fairytale during the night and is definitely one of the most interesting things to visit while in Ibiza. Various café, bars and other stores are open even after midnight where you can enjoy a drink as well as shopping. Dip in Mid baths at Es Palmador: Es Palmador is a neighboring island of Ibiza and here you can enjoy the mud bath which is definitely an interesting thing to do. Driving Tours: Driving in Ibiza is definitely interesting way to explore the island. You can rent a car and enjoy the place to its fullest and even take a break at various stops in between. Visit popular rock of Es Vedra: located at around 3kms off the coast, the 400 meters high rock of Es Vedra is simply an amazing view and is also an official natural reserve. It looks even more breathtaking at the sunset and is a perfect picturesque spot. Boat Trips: Boat trips are also an adventurous and must do activity while in Ibiza. Besides enjoying various water activities you can even hire a water taxi for a lunch. Thus Ibiza can be considered as a perfect fulfilled holiday gateway which offers plenty of enjoyment options suiting tastes of all.